The town of Hallstadt lies at 75 km to southeast from the city of Salzburg. The Parish Church of Hallstatt was built in 1505, but the tower is preserved from the old church dating from the twelfth century. 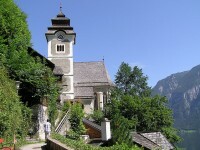 The church is dedicated to the Assumption and was built on the cliffs in Gothic style, the first constructions appearing here as a result of the development of the salt mines. Due to lack of space in the local cemetery at approximately every 10-20 years were exhumed the bones, bleached in the sun, then the skulls were decorated with paintings of wreaths, the deceased’s name, date of birth and death. The altar of the Parish Church in Hallstatt was also made ​in Gothic style by master Leonhard Astl probably in the years 1510-1520, but the the documents were destroyed by fire in 1750. 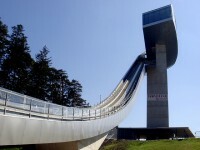 It has a width of 10.44 m and a height of 4.94 m, with the Virgin Mary with the Infant Jesus in her arms in the center. The main altar is made of fir wood carvings and ornaments of lime, which is decorated with gilded carvings and paintings. Around the church is the local cemetery where there is ossuary which houses the largest collection of skulls in the world, about 1200-1500, of which over 600 are painted. Along with the ossuary, the church is part of the UNESCO World Heritage Sites. 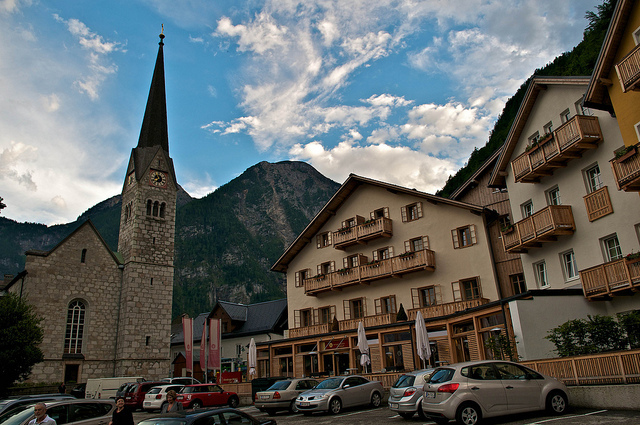 The church, the ossuary and the local cemetery can be found at the address: Kirchenweg 40-4830 Hallstatt. 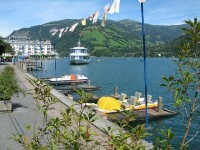 The tradition of exhumation at Hallstatt dates back from 1720. 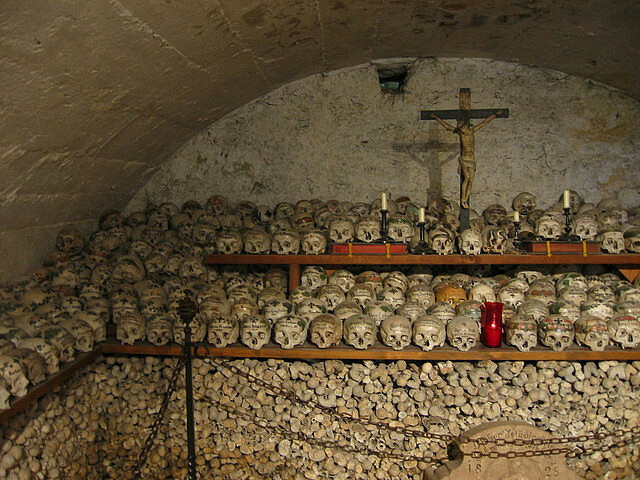 The skulls are kept today in a small Gothic chapel dating from the twelfth century, of which 610 were painted and placed in rows, having the skulls of the relatives besides. Most of the skulls were painted between 1780-1900, by several generations of painters, it is an inherited family tradition. About 40 years ago the Catholic Church has approved the cremation of the dead, so the practice of exhumation was stopped. The last skull ​​here is dating from 1995, a woman who died in 1983. 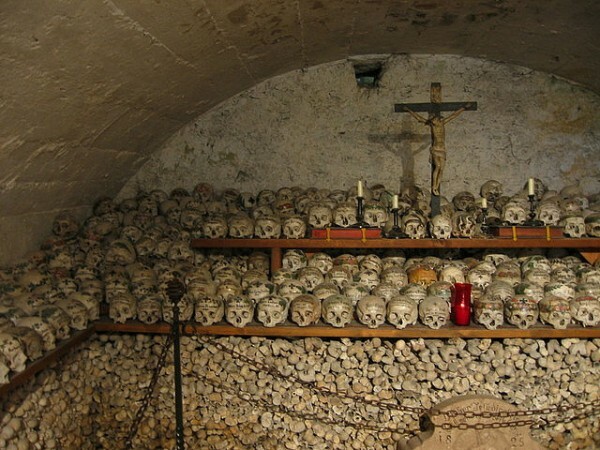 Currently there are approximately 1200-1500 skulls in the ossuary of the Assumption Catholic Church in Hallstatt. 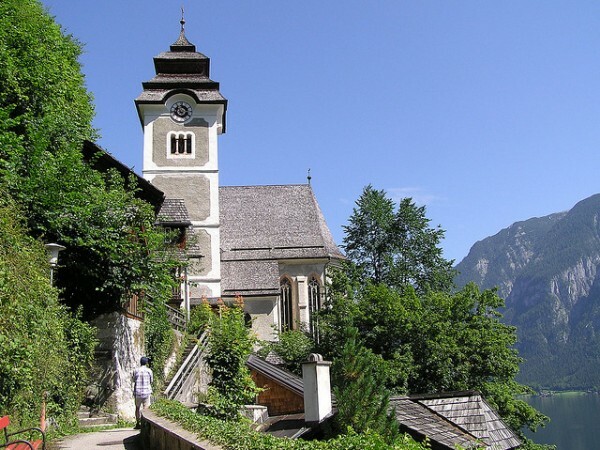 The visiting hours of the Chapel of Hallstadt is from May 1 to October 26, daily between 10:00-18:00, the price of a ticket for the ossuary is 1.50 euro.